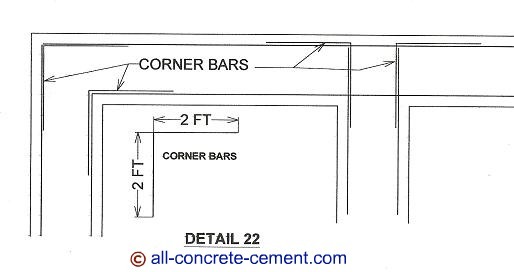 How does the footing reinforcements work at corners? Notice the corner bars on the right are extended to the outer reinforcements. There is no code requirement for this but it will provide a stronger connection than if we were to tie in to the nearest bars.